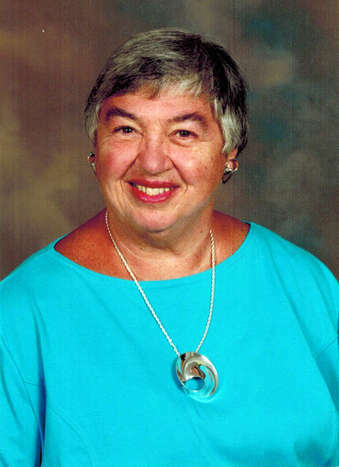 The NATS Foundation and NATS, Inc. recently announced that long time member and independent teacher advocate Joan Frey Boytim has made a significant financial commitment which for the first time will provide major financial support for the professional development of Independent Teachers through attendance at NATS National Conferences. NATS’ Independent Teacher Fellowships have been in existence since 2010 but funds have not been available to offer financial assistance to recipients over and above free conference registration. “Joan’s commitment is significant as it ensures that the NATS Foundation and NATS will have funds to offer up to $1000 in assistance to each recipient at each national conference,” says NATS Executive Director Allen Henderson. Up to 14 awards will be made to teachers who teach exculsively in an independent studio setting in advance of each national conference. Recipients will be chosen through an application process and complete details can be found at http://www.nats.org/independent-teacher-fellowship.html. Boytim recently celebrated a major milestone as the one-millionth copy of her publications with Hal Leonard was sold. Boytim’s journey in publishing started in 1988 and was an outgrowth of her career as an independent studio teacher in Pennsylvania. She now has 56 edited volumes of music in print. Prior to her adventure into publishing, she had already been giving back to her professional organization as a popular clinician and speaker at NATS events. She and her late husband Jim have been regular contributors to NATS and the NATS Foundation for many years. “The Foundation is delighted to partner with Joan Boytim with these awards. Joan has been a leader in vocal training for years and, in particular, is passionate about those who are teaching independently. With her many anthologies and her book, The Private Studio Handbook, Joan established herself as a leader in independent teaching; with her generosity through funding these awards, she will continue that leadership and advocacy for generations,” remarked Brian Horne, President of the NATS Foundation. Boytim’s commitment to fund these awards joins recent significant contributions by the estates of Shirlee Emmons, Hall Johnson, and Alice Mae Riley, the 1956 NATSAA Winner, to support the work of NATS and the NATS Foundation. Your planned gift or annual contribution of funds at any level helps provide much needed support to the important work of the association. To discuss details of your planned contribution, contact Allen Henderson at allen@nats.org or Brian Horne at blhorne@indiana.edu.